Dear Mr. Dad: I think I know how you're going to answer this question, but my wife and I have been arguing (in a friendly way) about whether moms are naturally better parents than dads. She says yes, but I disagree. What's your take? A: For decades, conventional wisdom told us that when it came to child development, mothers were the most important parent. Fathers, apparently, weren't good for much more than piggybacks, reading an occasional bedtime story, and, of course, discipline. Researchers who studied child development bought into that conventional wisdom and rarely bothered to investigate whether dads might actually play a more important role. Fortunately, a steady flow of more open-minded, intellectually honest research has discovered (and continues to discover) what fathers and children have always known: Dads play a role in their children's life that is at least as important as moms'. 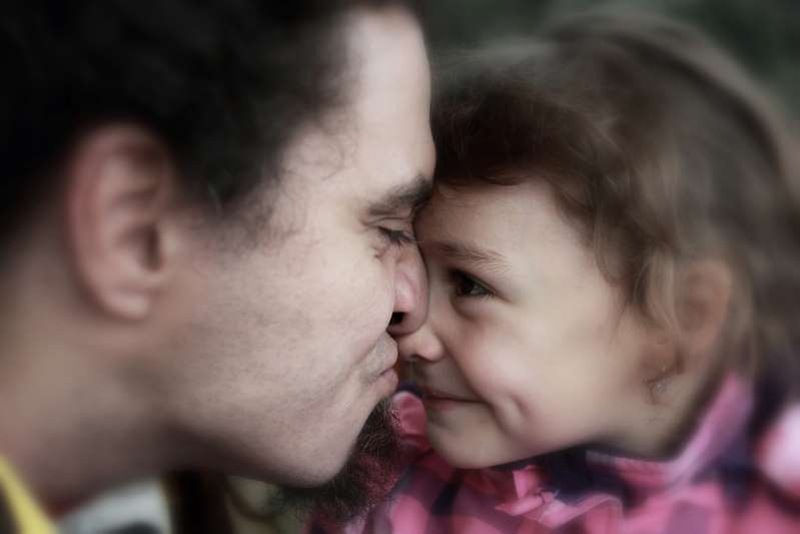 Dads aren't merely nice to have around; their presence is actually essential to their children in almost every area of their life: physically, psychologically, socially, developmentally, and even economically. The Dad Effect shows up in two different ways: good things happen when he's involved, and not-so-good things happen when he's not. At the same time, we're learning that supporting dads in their parenting role and giving them plenty of help and encouragement increases their involvement. Thanks to relatively new research, we now know that dads who are actively involved with their kids are happier, less depressed, healthier, less likely to commit crimes or abuse drugs or alcohol, and tend to be more satisfied in their jobs and have more successful careers. Here are just a few examples of the effects on children of having (or not having) an involved father. - For six-month old babies, the more actively involved the father is, the higher the babies' score on mental and motor development tests. - Babies whose dads do a lot of everyday childcare activities such as feeding, changing diapers, giving baths, and dressing, handle stressful situations better than babies whose dads aren't as involved. - Some researchers have linked high levels of father involvement with higher math scores in school and to generally higher-than-age-level scores on verbal intelligence tests. Kids with involved dads are also more likely to go to college. - Active fathering seems to be positively correlated with children's increased social adjustment and competence, having more friends, and to higher levels of self-esteem. - Children with actively involved dads manage their emotions better, are less likely to act out violently, and are less likely to start smoking or drinking or to become a teen parent, according to studies by Columbia University's National Center on Addiction and Substance Abuse. - Dad's mental health affects his offspring. Fathers' parenting-related stress when their children are infants, negatively affects those children's cognitive and language development at age two or three, according to research just published in the journal Infant and Child Development. In addition, toddlers with depressed fathers have less self-control and are less cooperative in fifth grade than toddlers whose dads aren't depressed, says Michigan State researcher Tamesha Harewood. Interestingly, the dad's depressive symptoms seem to be more influential than the mother's. Bottom line: Dads matter. A lot. But we have a long, long way to go before they're given the respect, acknowledgment, and support they (and their children) deserve. "Despite robust evidence of fathers' impact on children and mothers, engaging with fathers is one of the least well-explored and articulated aspects of parenting interventions," wrote Catherine Panter-Brick, professor of anthropology, health, and global affairs at Yale University. "It is therefore critical to evaluate implicit and explicit biases against men in their role as fathers manifested in current approaches to research, intervention, and policy."